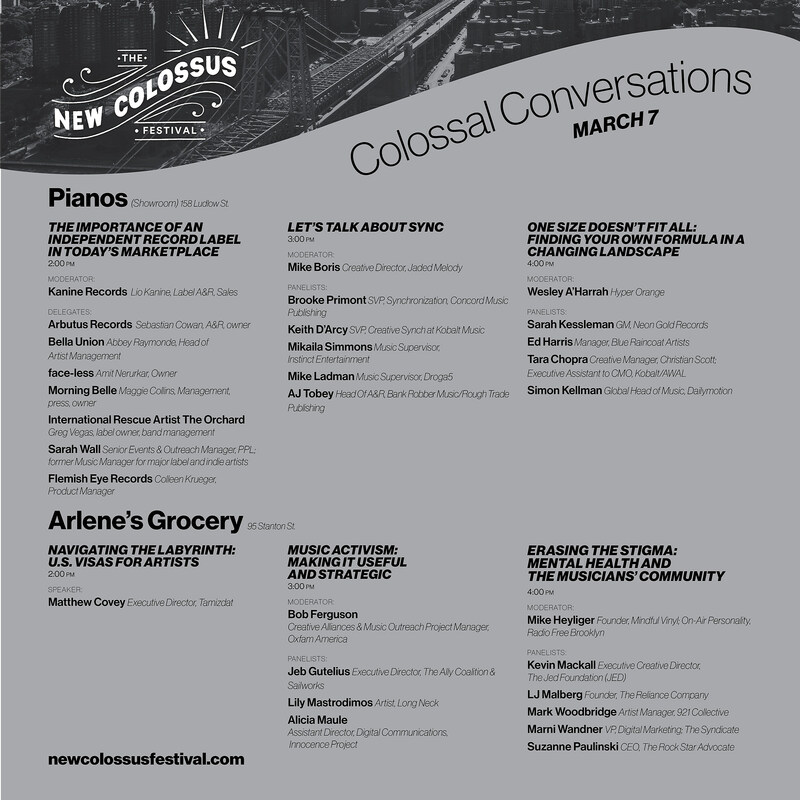 The inaugural New Colossus Festival, the CMJ-esque music festival and industry conference, happens this weekend (March 7-10) at East Village/LES venues Pianos, Arlene’s Grocery, The Delancey, Berlin, Coney Island Baby, and Bowery Electric. The lineup is mostly emerging artists from all over the globe, and they’ve added a lot since our last post, including Montreal artists Graham Van Pelt, Munya, Radiant Baby, and Elisapie, Eternal Summers’ Nicole Yun, Scottish singer-songwriter Mark McGowan, gothy synth band Weeknight, alongside previously announced acts The Living Hour, Tallies, The Natvral (Kip from Pains of Being Pure at Heart, and tons more. Festival badges are $50 and also get you into a few shows that are otherwise not open to the general public. There are also free day shows happening at Arlene’s Grocery on Friday – Sunday, and Pianos on Friday and Saturday. 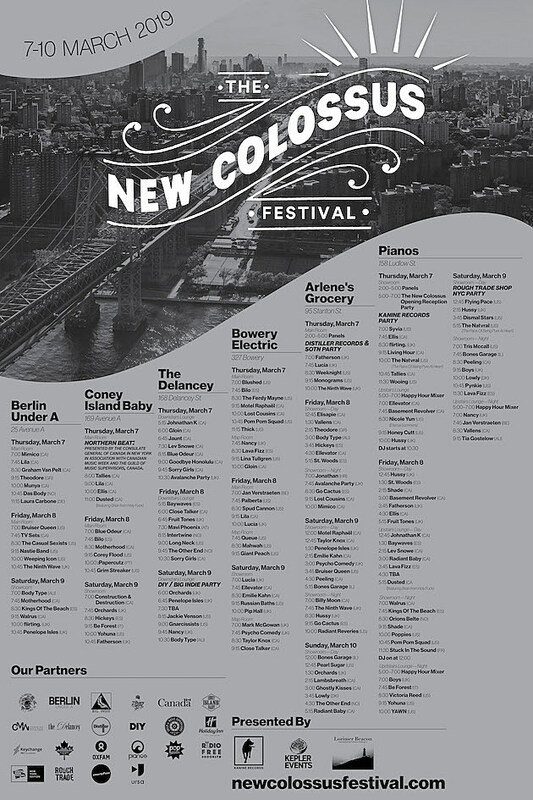 You can check out the full schedule at New Colossus’ website and the artist lineup is below.